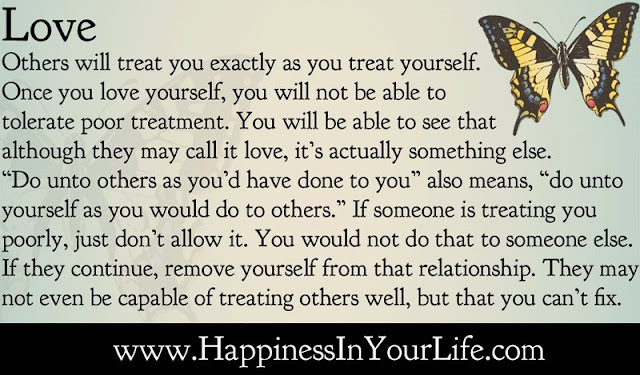 Others will treat you exactly as you treat yourself. Once you love yourself, you will not be able to tolerate poor treatment. You will be able to see that although they may call it love, it's actually something else.